At all of our locations we offer pawn loans on your enclosed trailer, car trailer or flatbed trailer. 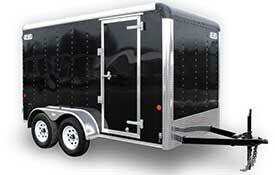 Just bring in your trailer and see the cash in your pocket in no time! Curious about how much you can get on a pawn loan? Give us a call and one of our Team Members will give you an estimate. We Purchase or Pawn all Trailers No Title needed to Sell or Pawn your Trailers – Enclosed Trailers – Auto Trailers – Flatbed Trailers. Our team member will evaluate your Trailer and give you the highest offer to Purchase or Pawn your Trailer. Cash in minutes in your hand!